"We discovered bruises on the faces of our two daughters, they were beaten." Manama: The father of the two Saudi sisters whose bodies washed up at the edge of the Hudson River in New York in October has rejected the report of the Chief Medical Examiner that cited suicide as the cause of their death. In an interview with Saudi news site Sabq, the father accused the US authorities of collusion with an American detective working in the police department next to their home. He said he had ample evidence that prove the link between the detective and the disappearance and death of his two daughters. 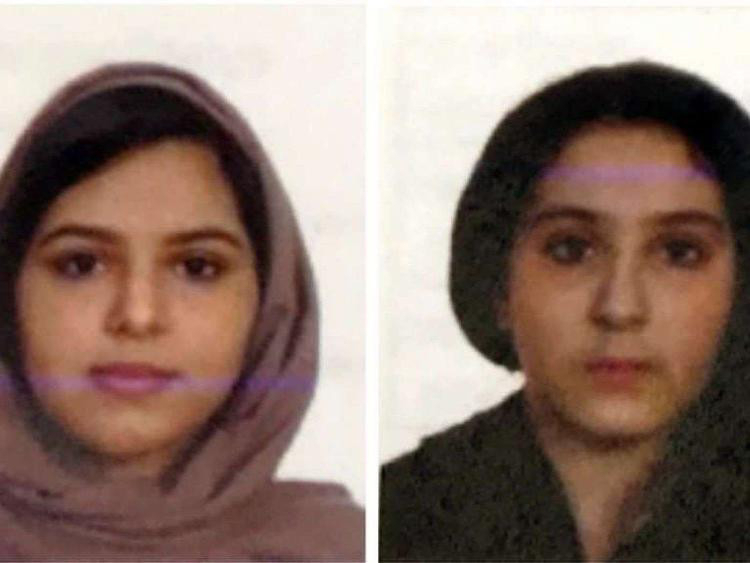 Last week, US medical officials said the bodies of Tala Farea, 16, and Rotana Farea, 23 were bound together with duct tape around the waists and ankles. “Today, my office determined that the death of the Farea sisters was the result of suicide, in which the young women bound themselves together before descending into the Hudson River,” Chief Medical Examiner Dr. Barbara Sampson said in a statement. The causes of death of both were listed as drowning and the manner suicide. However, the speculation that mounted about the cause of the death, who had disappeared about two months earlier, has not apparently subsided with the father contesting the findings. “The story began in December,” he told Sabq over the phone. The parents did not suspect the two sisters had run away since they left the house without taking anything with them, not even the things they had purchased earlier and kept on the table. “The next day, the area detective told us that he withdrew our notice and took the girls to a safe place. He tried to provoke us, saying that he was aware of the Arabs’ bad treatment of their children. We did not react and instead asked him to let us see our daughter or to bring them home. He refused and asked us to keep calm. He promised to bring them back within one week. "However, when he came back after one week, he was accompanied by members of a committee to protect children. He accused us of abusing our daughters. The members searched the flat, but found no trace of violence. In fact, they were surprised the girls took nothing from their belongings. They later sent us a report that the family was innocent of the charge of physical abuse,” the father said. When the family tried to get in touch with the detective, he refused to respond and told them to go to the court where the case would be deliberated, the father added. “There was another detective who had sympathised with us during our visits to the police station. He accused the first detective of breaking the law by keeping the two girls. Unfortunately, he said it to us orally and refused to put it down in writing,” the father said. Weeks later, the police informed the family that they found the bodies of their daughters. “They told us that they were bound together around the face and they had committed suicide. They made the suicide statement before the medical examiner probed the case. However, the big shock we had was when we asked to see the bodies in the morgue and the authorities hesitated. They eventually acquiesced. The father insisted that suicide should be ruled out. “My two daughters are afraid of the sea and they do not know how to swim. The spot where they allegedly committed suicide is filled with rocks and it is simply impossible they could jump into the Hudson. Despite all the evidence against the claim of suicide, we took them home to Saudi Arabia where we buried them. We are still deeply pained by the loss of our daughters,” he said. The father, mother and son returned to the US following the funeral and condolences to hand back the flat. “At the US airport, they kept us for five hours and asked us to leave the country within 14 days. They also cancelled my son’s study visa. That is why we could not file a lawsuit against the detective behind the disappearance and death of the two siblings. However, I have asked the lawyer of the Saudi embassy to do it on our behalf and I am going to accuse the detective officially of causing all the drama that we as a family have had to suffer for the last seven months,” he said.